My brows are naturally thick but I have some empty spaces to fill in and some others where I need to even out the thickness of my brows. These are twist up pencils that have a fine tip perfect to get those small spaces and get a natural result, on the other end you have a brush. The texture of these pencils are not too creamy or too dry which I do like since my brows tend to be oily and I also feel like the cream product types deposit too much at once. With these pencils you need a light touch to get a good amount of product and you can build it up. 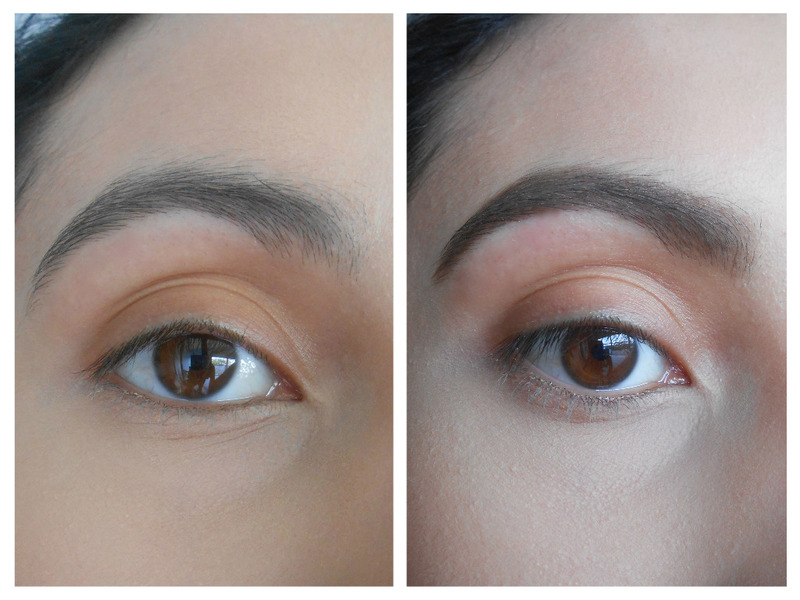 With the combination of the color shaper my brows look perfect throughout the whole day. 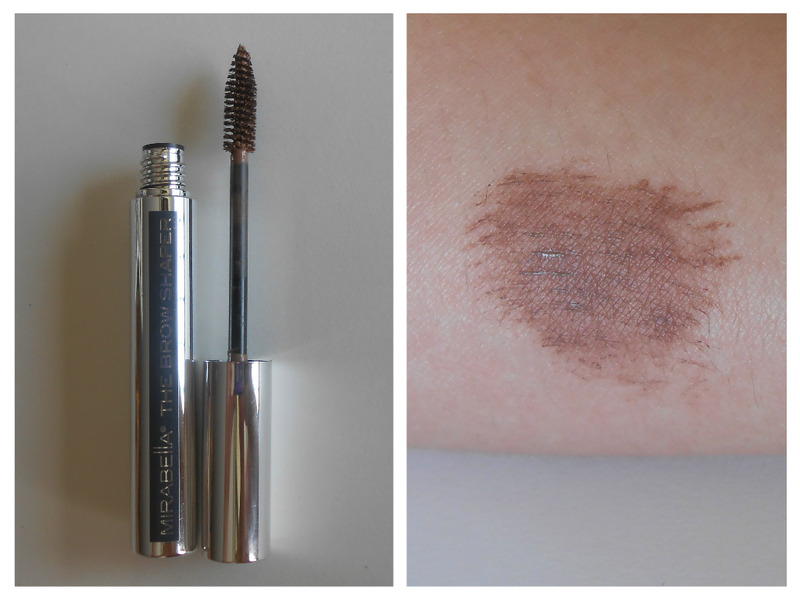 I also tested these products separately and I got a good lasting result, but as a personal preference I really like the final result I get using both products because the shaper gives that final touch of color and keeps some of my crazy brow hairs in place all day. These products are paraben, dye, and gluten free. The brow Shaper comes in one shade, I will describe it as a tint gel with a cool toned brown color. It matches the color of my brows nicely and it will work perfect by itself if you just want a quick look, keep your hairs in place, or just add color to them. I received these products for a review purpose. Regardless, I only recommend and write about products I use personally and that I believe will be good for my readers. I am so in love with the bold brow trend right now. I use a Sigma powder kit, but I've been needing to check out a gel-based one as well, because my eyebrow hairs have a mind of their own (haha!) I'll have to look into this brand! That shade looks so great on you! I definitely need something like this. Thanks for the review! Wow your eyes are beautiful! The pencil only brings out what is already there! Great review! I only started doing my brows about 6 months ago and I love how they look now when i add a bit of colour to them. So much better and no going back now. even if i don't do my make up i always do my brows. Oh these are great! I love a nice, thick brow and was just looking for something that was easier that using the brushes. I can never get my eyebrows to look that good....These look fantastic! I've always used the Anastasia brow kit, but I would love to try this product, too. My brows get too unruly if I just let them be. These look beautiful. I use a clear one at the moment, more to shape than to fill in, but will love to give these a try. My eyebrows are in desperate need of attention! They are so over plucked. Love your brow shape! I had mine threaded about 5 years ago and they never grew back properly so I'm having treatment on the hair follicles in a few weeks time. I like that it has a tint. Im naturally blonde so need to darken my brows a bit otherwise I look bold eek! Wow that brow pencil really sharpened your look. The colour is great! I've been looking for a way to give my brown more definition and this looks like a great solution! I'm really interested in trying this pencil out. Oh wow. Your brows looks amazing. I definitely need some help in that department. I need to get one of those pencils! These sound perfect for detailing. I definitely like the look you were able to achieve with them! I got pencils but don't really know ow to use them lol. You inspired me with your posts on beauty stuff. I NEED this!! I use one of those old school black combs to comb and shape my eyebrows, lol! I love these natural shades. They look great on your skin. hard to believe you've got this result from using a pencil! it looks amazing, and so professional. Amazing looking brows. I have never been good at doing this but you inspired me to try my hand at styling my brows. I can really tell the difference in your brows. Wow! I need to get this. Diana, thanks for your nice comments about our new brow products. We appreciate it. Keep in touch so we can show you all our new ideas to help woman be most confident! Great review. This items looks good! Love the shades of those pencils and I love your eyebrows. Wish I know how to make mine as pretty as yours. I've been thinking about trying a brow pencil. I've honestly NEVER used one! I think I could get much better definition, like you have. Looks great. Never used a brow pencil and to be honest its because I have no idea how to use it. I feel so stupid when it comes to applying make-up. I've got lots to learn. This would be perfect for my brows. I have noticed they are getting thinner the last year or so. I will have to try one. I currently use Anastasia of Beverly Hills for my brows, but I'll definitely look into this. Thanks for sharing your experience! your brows look fab. i never use eyebrow pencils. i'm not a massive makeup user. Lovely final look. I am not sure I would be able to do such a great job. I love how you present your color swatches! I don't use brow products, but these colors are really nice. I love trying new brow pencils. These look fantastic, I will look out for one when I next purchase a new pencil.